Several have asked us to organize a gender balanced series of classes focused strictly on close embrace dancing, milonga, vals and tango. I have been thinking about this all year. I have plan to help you define and concentrate all of your movements into a close embrace Buenos Aires milonga format. 3242 N. Longfellow Ave. unless otherwise informed. The cost of the series on only $80 per person. This is an advanced class, so we will teach no steps per se in this class. Though we will obviously be reviewing any number of steps, YOU might need to see, in order to concentrate and reduce them to their essence. Keeping by the end, only the essentials of a movement. That way you can begin to move more easily and and freely in a crowd. Please let me know ASAP if you can attend. Make a list (or video) of which steps are comfy when close and which tend to expand. Make notes on which genre and what tempo/speed/style of music is your favorite and which is lacking. 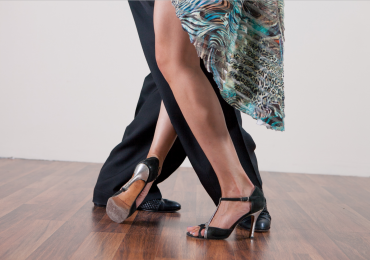 Categorize and mentally note which steps are integrated and are fully in your milonga repertoire, and which are being polished, and which are only just being learned. We will focus on what will be “milonga ready” for the trip. So bring some thoughtful questions for your 4 week session. I hope to share with you how to dance simple but musically interesting. Obviously if you want help with this in private, I am available. The series will be more like a regimented practica with lots of moving and dancing. We will play 2 song tandas, so we can move through the time playing vals, milonga and tango. This will be a technique, musicality, connection, cultural and social experience for all involved. We will keep this simple and fun.